When we hear about ”design thinking”, we often assume that only designers should apply this methodology, or that it can only be used to solve design problems, when this is not always the case. Design thinking can be applied across many industries and disciplines, from motion picture development to human resources, from product design to employee experience design. It has no limitation and can be utilized by different fields to tackle complex situations using visual thinking and multi-disciplinary collaboration to deliver innovative solutions. Let me walk you through some examples below from Pixar (Disney) and NASA. I’m sure you’ll recognize this film about Remy, a cute blue-coated rat who dreams to be a big chef in Paris. Ratatouille was a massive international commercial success thanks to its unique and touching story. So, how does Pixar and Disney come up with ingenious stories that always win people’s hearts? The answer is simple: through research and development in a collaborative and iterative environment. However, the process itself is not as simple as it sounds. Pixar and Disney started implementing design thinking even before it was commercialized and made famous by David Kelley, founder of IDEO, a design firm known for their design thinking approach for social innovation. 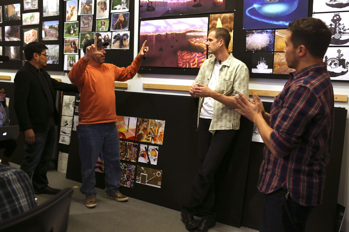 All stories at Pixar start as part of a 3-idea pitch. After spending up to five months crafting pitches for three separate project ideas, each director from the core team presents them to the Chief Creative Officer (CCO). The CCO then selects one as the next project, or tells the director to iterate the idea before pitching again. Once an idea is selected, it enters the research and development (R&D) process that could last up to a year. The purpose of the R&D phase is to deepen the original story idea from the pitch. Multi-disciplinary R&D teams conduct thematic research, creating reels with clips from a wide variety of films set to music. As the process advances, story rooms are filled with images and notes covering the walls for the director and creative team to take inspiration from. Pixar and Disney have a concept called plussing. An important point from this concept is: no idea is a bad idea. It's also founded in a belief that we may only criticize an idea if we also add a constructive suggestion. Plussing is simply a technique that allows people to improve ideas without using harsh or judgmental language. During production meetings, instead of shooting down ideas, every criticism must come with a plus, with a better idea attached. This concept creates a safe place where no one is afraid to make their ideas heard and where no idea is merely taken at face value. Met with a woman who lives with 36 pet rats. Interviewed chef Anthony Bourdain about his most memorable meal at a restaurant. 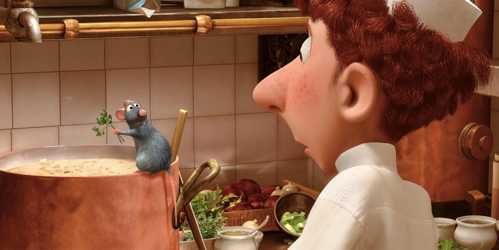 His emotional reaction while recalling this moment influenced the scene where Anton Ego, the food critic, takes a bite of Remy’s signature dish and is transported to the past where his mom comforted him with her homemade ratatouille after he had a bad day. Hired chef Thomas Keller as a consultant on the film and shadowed dinner shifts at his restaurant, The French Laundry, to learn how a real French restaurant’s kitchen functions. This intense research enabled Pixar and Disney to move forward to the prototyping and testing phase with a solid base. By implementing design thinking into their process, they manage to deliver great products—not just ordinary films, but memorable ones. I’m sure you have heard of NASA before, but you might be wondering, What is the Jet Propulsion Laboratory (JPL)? Formed in 1936, NASA JPL helped open the Space Age by developing America's first Earth-orbiting science satellite, creating the first successful interplanetary spacecraft, and sending robotic missions to the solar system. Today, JPL continues its world-leading innovation, implementing programs in planetary exploration, Earth science, space-based astronomy and technology development, while applying its capabilities to technical and scientific problems of national significance. JPL has an innovation organization named JPL Innovation Foundry. It is the place where space missions are born. In the Innovation Foundry missions are formulated, advanced studies are conducted, concepts are developed and proposals made through collaboration with cross-disciplinary experts. The matured proposals then are sent to NASA to pursue. Within the Foundry, there’s the A-Team (architecture team), a group of engineers responsible for creating tools to facilitate and brainstorm new mission concepts. They have a dedicated room called Left Field with wall-to-wall whiteboards and sticky notes where they host rapid brainstorming workshops with a cross-disciplinary group of scientists and engineers. One key member of the A-Team is Jessie Kawata, who was the first creative designer on NASA’s core mission formulation team. 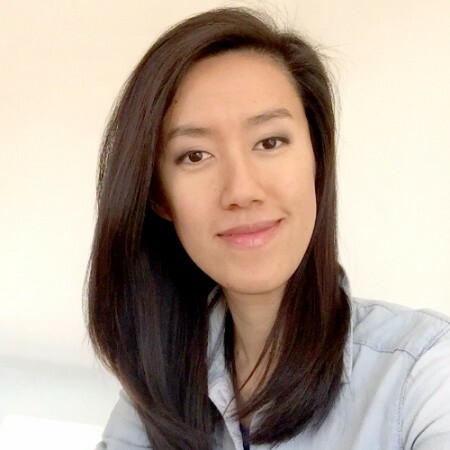 She pioneered the implementation of design thinking by incorporating rapid visualization techniques that boost productivity and collaboration between scientists and engineers. She also started a storytelling initiative where people learned the value of considering the needs of their audiences—whether that audience be the public, a politician, or a colleague. 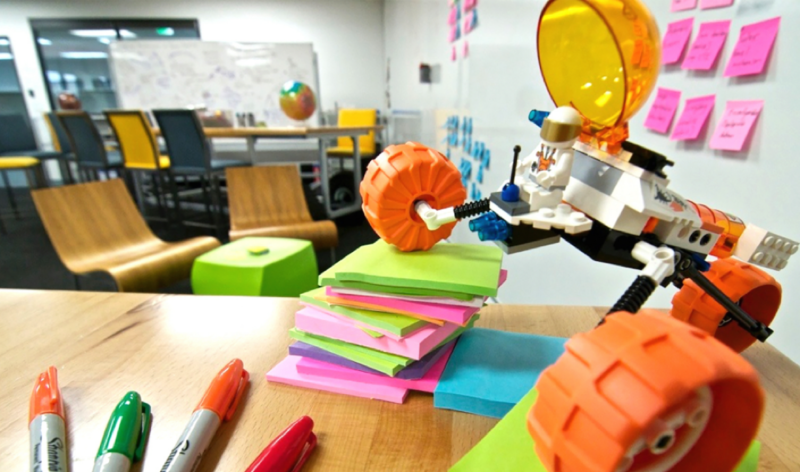 What was once solely a robot-centered mission design process is now also human-centered. Meeting people where they are. JPL Launched a multi-faceted, multi-platform, daily campaign on Twitter, Facebook, Snapchat, Instagram, and on the mission website. Going live. They answered audience questions live in platform during multiple social, web, and TV broadcasts and press conferences. Visualizing the end. They created a dramatic short film to communicate the mission’s story and preview its dramatic finale. Full circle. People could access multiple 360-degrees videos, including NASA’s first 360-degree livestream of a mission event from Mission Control. Roadmap to the Finale. They created easy guides to follow the mission’s final days and moments. Telling the story. JPL wrote a steady drumbeat of stories to keep fans updated with news and features about the people behind the mission. NASA’s JPL connected millions of people in the world to one of the most important moments in the history of humanity. 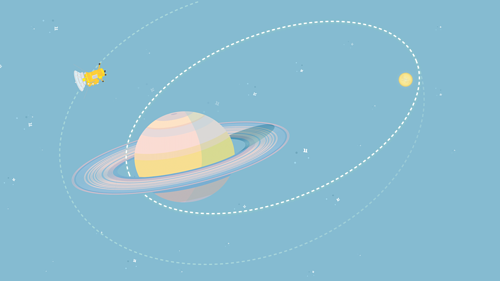 The various campaign elements were designed with the question in mind, “Who are we designing for?” Whether you were a grade school student, a member of the press or a space enthusiast, the multi-faceted, human-centered campaign brought the world together for an up-close and personal farewell to the Cassini spacecraft. With the examples above, I hope you now have some ideas of how design thinking can be implemented in a wide variety of situations in any context or field, HR included! Don’t miss our next post on design thinking where we’ll talk about how HR can apply design thinking to their processes and improve the employee experience. To learn how design thinking applies to employee experience, check out the blog series, How to Design the Employee Experience. Francis is a UX Designer at PeopleDoc. She works on internal tools (e.g. Robotic Process Automation and PeopleDoc Next) to boost efficiency within PeopleDoc’s cross functional applications and teams. Prior to PeopleDoc, Francis worked as an Art Director in the advertising industry, with accounts including L’Oréal and Samsung. Francis is a big fan of chilli, always carrying bottle of Cayenne pepper in her bag--every day is a spicy day!